Was the iMac made for ICOM radios? ..hi hi. I picked up an iMac Core 2 Duo 3.06 GHz all in one off of e-bay for a good price. It has a bad screen (vertical line), but it will work for what I need it for. 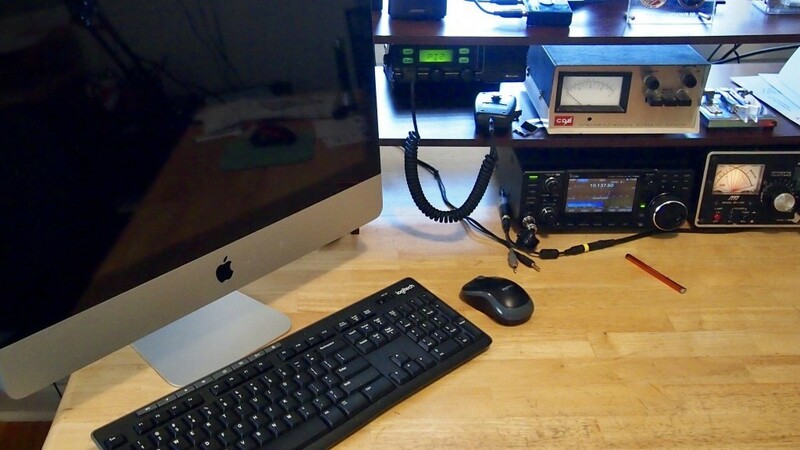 Ham Radio iMac (iCOM Macintosh) is what I’m calling it and it’s attached to my Icom 7300! This is not going to replace my PC, but it will be fun to use. It’s an Apple A1311 MB950LL/A 2009 iMac 10.1 Core 2 Duo 3.06 GHz CPU, 8GB RAM, 1TB Hard Drive and a 21.5″ monitor. Nice size for a monitor! Even though it’s a 2009 I anticipate it’ll run fast enough with the latest macOS 10.12 Sierra installed. Macs don’t have as many software apps as PC’s do for Ham Radio, but there are a few I would like to try. The Icom 7300 should play nicely with it too. Another logging program for the newly acquired “Ham Radio iMac” is MacLoggerDX. I’ve read some great reviews on it. It is a paid application however ($95), so I’ll have to look at that one a little harder. I’ll load the trial version first. The USB driver and RUMLogNG was quick. Yes sir it’s this easy! I can use the iMac for multimedia storage, photo and video editing too. It will earn it’s keep. 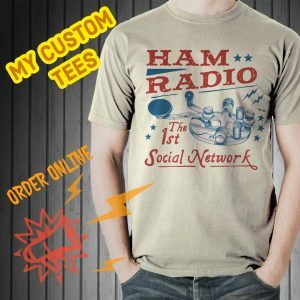 What Ham Radio software do you run on your Mac? Nice to hear from you and thank you for posting. There are a couple of great logbooks for the Mac. I like RumLogNG, it’s free. There is also MacLoggerDX which cost some, but it is very good and worth it in my opinion. I would check out RumLogNG first though, it has the spectrum scope. There’s more too, just look under the Mac category on the right hand side. HDSDR cannot be run on the MacOS. So you would have to use another program. I think there is one or two for the MacOS. You could try CubicSDR, it worked for me and the SDR dongle I had. I still use my iMac today and love it. Has anyone had any trouble with “audio pops” when using digital modes on the 7300? I have not and haven’t heard any issues with that. Something to check would be the computer and software. My IMac with High Sierra kicks the USB driver out after three transmits. May try a powered usb hub between the 7300 and Imac late 2009. Also, I’ve heard the SLAB driver is not signed, so it may have a deeper problem. You can find the MIDI setup in Applications and Utilities. Best 73 and hope to hear you on.